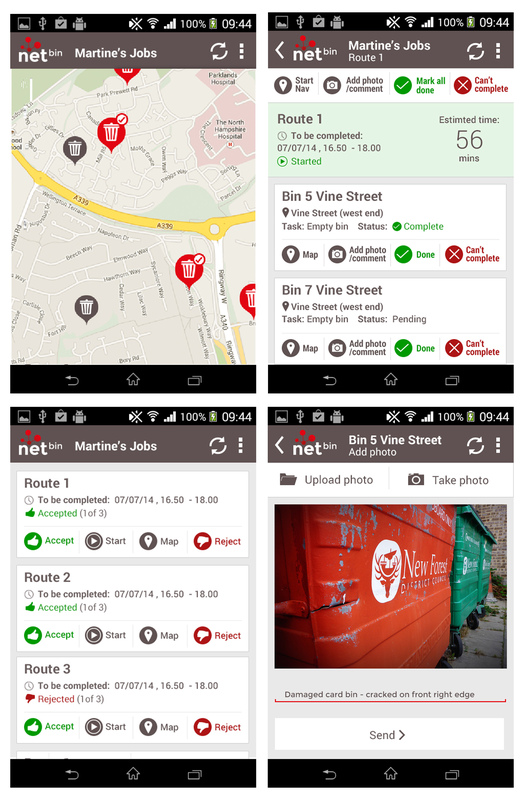 Our smartphone application is the bridge between monitoring your bins and ensuring the right bins are serviced. netBin COLLECT will be used by collections vehicle operatives to receive jobs assigned from netBin hub. Information on suggested routes and estimated durations will be provided. While completing jobs the driver has the ability to report information back to headquarters. If for any reason a bin cannot be serviced netBin collect will notify netBin hub that a bin has been missed off the collection route so that a solution can be worked out by the network manager.